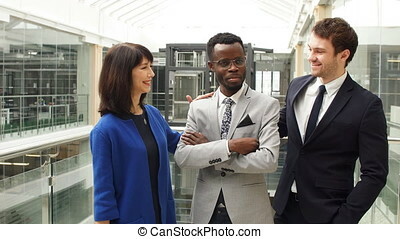 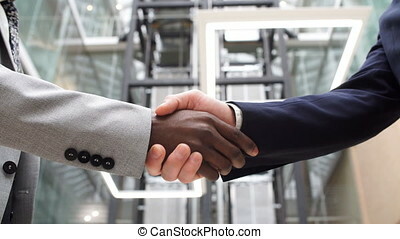 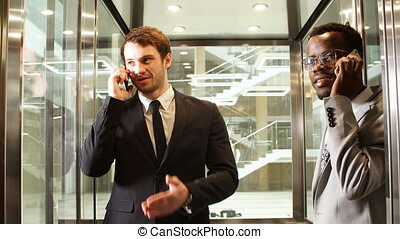 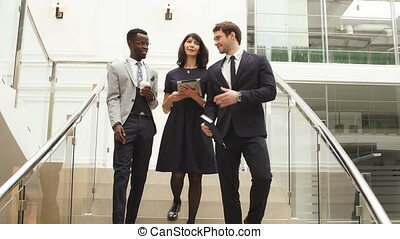 Multi racial business people are working out startup project. 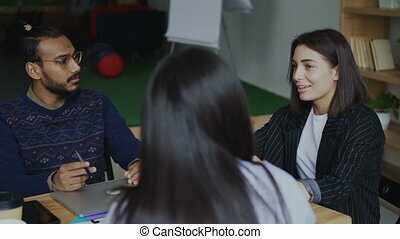 Multi racial business people are working out startup project. 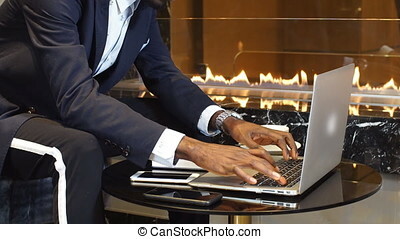 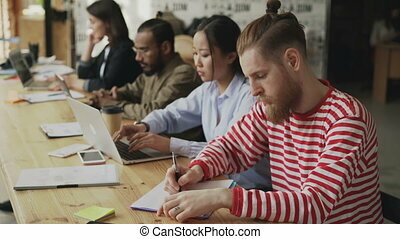 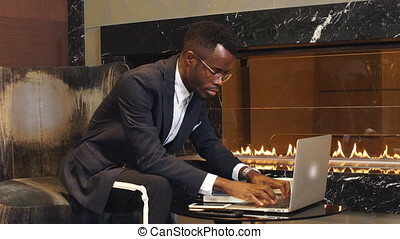 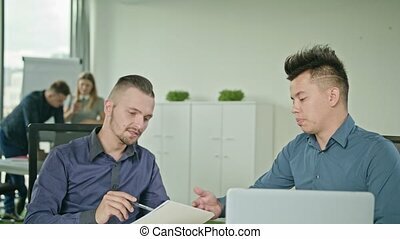 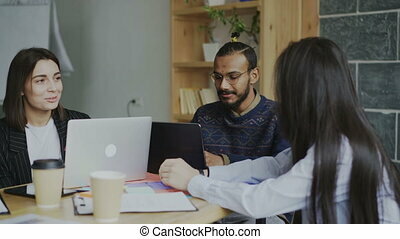 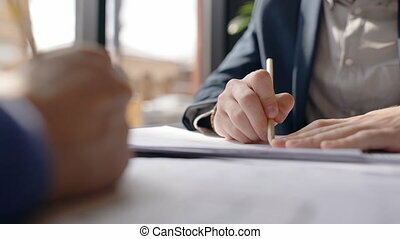 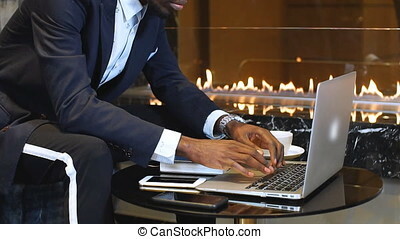 Young advanced business people are working on startup project, write on documents with pencils, sitting at table in cafe, professionals work together at desk near window. 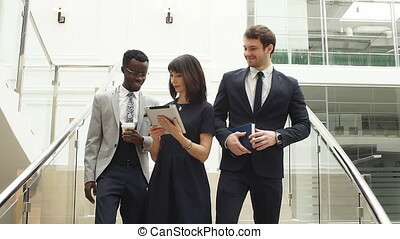 Successful men wearing suits, doing job with blueprint. 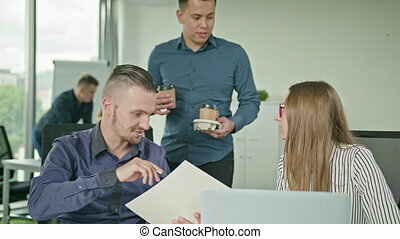 Concept: coworkers, collaborating, modern interior. 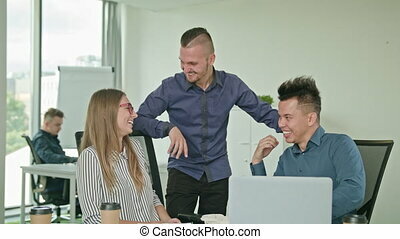 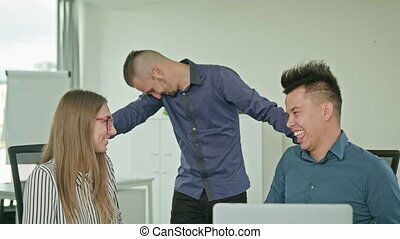 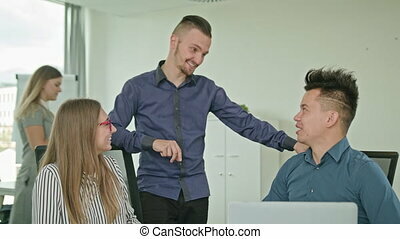 Friendly young colleagues are discussing startup project sitting in coworking space, businessman and businesswoman working together, doing paper work in comfortable workplace near window. 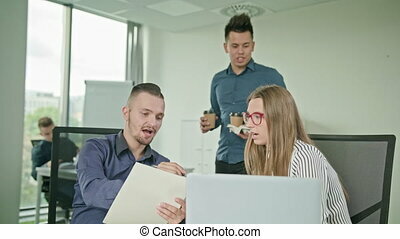 Concept: collaboration, brainstorming, modern business. 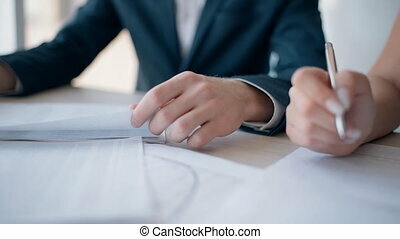 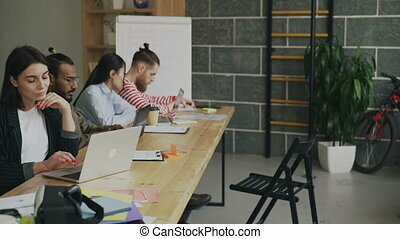 Man and woman working with startup project, sitting at table in office interior, young business people are in work process, analyzing, writing in modern workspace. 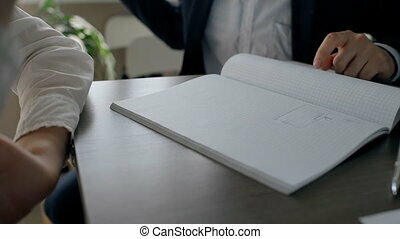 Concept: management, entrepreneurship, business solutions. 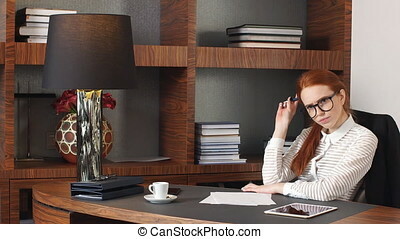 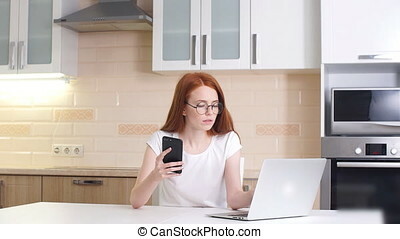 Stylish redhead girl working from home in her home office.